Enter to Win a Custom Embroidered Onesie or Toddler T-Shirt from KY Girl’s Crafts! Happy Win It Wednesday! We’ve got a special springtime giveaway from KY Girl’s Crafts! If you’re the winner, you’ll receive a custom embroidered onesie or toddler t-shirt of your choice with your child’s name on it! KY Girl’s Crafts’ prices are VERY reasonable! Many of their shirts are only $10.75 plus shipping and they will embroider your child’s name for FREE. They will also do custom embroidery for you. Check out the adorable St. Patrick’s Day, Easter, and other cute spring designs they offer! You can find additional designs on KY Girl’s Crafts Etsy page and on their Facebook page. Entering the contest is easy with the Rafflecopter form below. You can earn extra entries by commenting here on the blog and telling us which spring design is your favorite! Good luck! I’ll draw a winner on Saturday morning. FrugallyDelish is excited to promote this opportunity for you to win a Bath & Body Works Gift Card worth $25!! Valentine’s Day is right around the corner and Gus the Gorilla of GorillaBackups thinks that you ladies deserve some pampering. And Gus knows the ladies LOVE Bath & Body Works! Whether you’d like to try the new America’s Sweetheart collection or a tropical scented candle, Bath & Body Works will take your mind off the February chill. Entering is easy with the Rafflecopter link below. This three-day giveaway runs from February 8th through the 10th. Good luck! Thanks again to GorillaBackups for sponsoring this great $25 Bath & Body Works gift card! Enter to Win A New You Makeover! Womensforum.com is starting 2013 off right a New Year New You Makeover Sweepstakes to help you accomplish your goals and stick with your New Year’s resolutions! This sweepstakes features everything you need to get your mind, body and spirit back in shape, including a life coaching session and makeover with Healthy Living Expert Andrea Metcalf. You could also win loads of beauty and health products including a yoga mat and a Clarisonic beauty facial cleanser! Womensforum.com brings you the best in the industry, including coupons, style tips, parenting tricks, recipes, celebrity gossip, how-to videos, special offers, and more! Sign up for their sweepstakes and have the chance to receive a whole lot more! Click here to enter today! 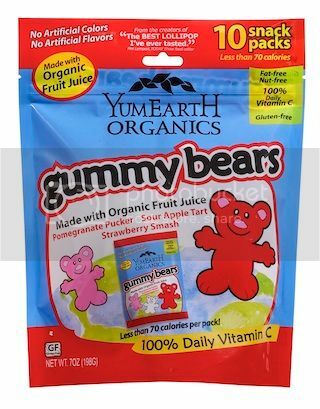 Enter to Win A Bag of YumEarth Organic Gummy Bears! FrugallyDelish is excited to promote this awesome giveaway! Enter now for your chance to win A bag of YumEarth Organic Gummy Bears! Valentine’s Day is coming, which means we’re surrounded by sweets and treats! Why not offer a healthier alternative like YumEarth Organics? YumEarth offers sweets that are yummy and contain healthy ingredients. YumEarth was born out of our commitment to feed families a diet rich in delicious healthful foods free of high fructose corn syrup and artificial dyes. YumEarth tastes better because they choose real fruit extracts and planet friendly ingredients grown on sustainable family farms. YumEarth also has no gluten, peanuts, or tree-nuts, just award winning taste. View the full YumEarth organic gummy bears review on Pea of Sweetness. For More: Visit the YummyEarth Website, connect with them on Facebook, and follow them on Twitter. About the Giveaway: This giveaway begins on 1/30 at 12:01am and ends on 2/13 at 11:59pm (times are EST) and is open to US residents ages 18+. Please refer to the full terms and conditions in the Giveaway Tools. The Prize: A bag of YumEarth Organic Gummy Bears! Disclosure: I received no compensation for this publication. My opinions are my own and may be different than yours. FrugallyDelish is not responsible for prize fulfillment.